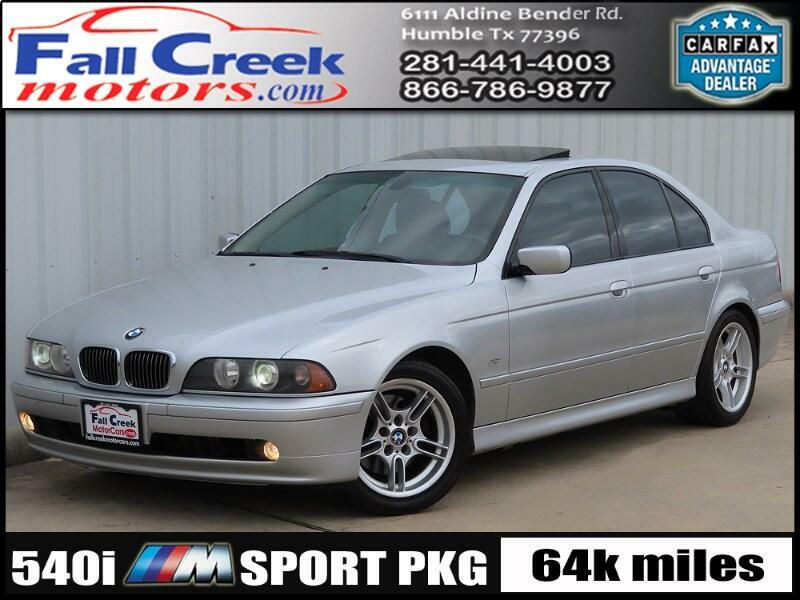 ***100% CARFAX GUARANTEED***2001 BMW 540I ///M SPORT PACKAGE AUTOMATIC SEDAN 4 DOOR 4.4L V8 F REAR WHEEL DRIVE***LEATHER***SUNROOF***LOADED. THIS BMW 540 HAS BEEN VERY WELL MAINTAINED AND SERVICED UP TO DATE. IT HAS LOW MILES AND IT LOOKS/DRIVES GREAT, MUST SEE. IF YOU LIKE THE BMW M5 OR M-TECH PACKAGE THEN YOU WILL LOVE THIS BMW E39 540i . Message: Thought you might be interested in this 2001 BMW 5-Series.